ATE is a regional engineering solutions provider specializing in design, PLM and simulationtechnology. 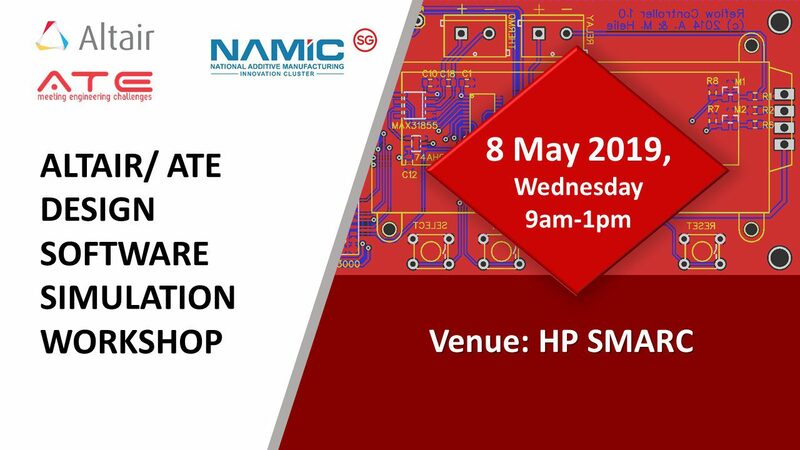 This workshop will provide participants with insights into Design for Additive Manufacturing, at the same time give a more practical yet in-depth look into the use of AM in lightweightingtechnology. An introduction to the market leading full AM technology platform, with emphasis on the ease of use for daily design and modelling. Attendees will have a glimpse in the advanced motion with topology optimization, process simulation and the latest meshless FEA to aid the understanding of AM design. One of the great advantages of additive manufacturing (AM) is its ability to produce highly detailed, efficient and complex components. Lattices are the ultimate expression of this, comprising intricate structures that use the minimum amount of material to fill a volume whilst still providing structural support. They are also extremely efficient at absorbing impact energy and can be designed to provide insulation from vibration, noise or heat. Alternatively, their high surface area-to-volume ratio can be exploited to maximise fluid-structure heat transfer. Finally, lattices can also provide porous surfaces with tailored properties for effective joining. This presentation will summarise state-of-the-art optimisation approaches for lattice structures and current research efforts.